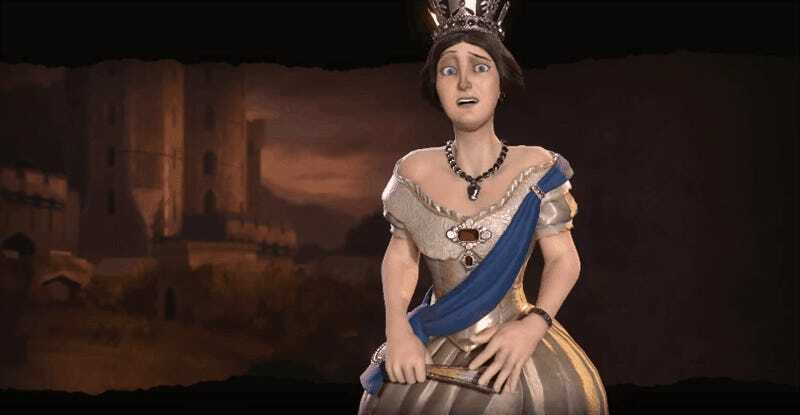 Is Civilization 6 a perfect game? Nope. Questionable A.I., bad U.I. design, and a diplomacy system that just doesn’t make any sense knock it down a few pegs. With the release of the Rise and Fall expansion this past week, however, I thought it was a good idea to go back and look at all of the unhelpful, racist, and downright stupid things that people levied against the game. “It’s such a clear betrayal of Civilization’s aesthetic, you guys!” To be fair, everyone has their artistic preferences, and Civ 3 Gandhi is really, really, really bad. To say that you will never play a game based solely on how cartoonish the avatars look, however, is just silly. I’ll give this one to the haters out there. Yes, Civ 5 is a more complete game than Civ 6, and therefore is highly replayable. You know why that is, right? It’s because the game has been fully released. Some people must have short term memories, because when Civ 5 came out, it got ragged on just as much as Civ 6 has. Oddly enough, when it finally got all of its features added, major bugs dealt with, and had its necessary fine-tuning done, fans were singing a different tune. Funny how that works. I was not expecting this one, but then Feb. 8th came, and apparently, gamers forgot that mods that were designed for the vanilla version of a game don’t work with recently released expansions. Accusing a company of intentionally breaking your mods when you just forgot how expansions work is not a good look on you. It’s one thing to want to see your country or culture represented in a game like Civilization. It’s another thing when that desire turns you into a straight up racist. Denigrating a newly revealed civ by saying it has no global significance or that they are a bunch of savages/terrorists in order to get your group into the game does not help your case. Somebody didn’t like the Cree joining the game. I’m coming at this from a biased position, since I’m an American and I can be reasonably sure that America will be included in every release of Civilization, but you can’t get upset that someone else’s culture got selected and yours didn’t. Just because you’ve never heard of them doesn’t mean they didn’t have an impact on history. Just because Firaxis didn’t include your group doesn’t mean they have a grudge against you. By all means, advocate for yourself, but do it like Canadians and be civil. There’s a lot that could be improved in Civ 6, and I’m sure that most players’ concerns will be addressed in future updates and expansions. In the mean time, remember: it’s a game. Calm down, maybe learn a little something about other cultures, and have a good time.